The city of Fortuna is recruiting candidates to replace outgoing City Manager Regan Candelario, who is returning to his Bay Area roots to take the same position in Novato. The move comes almost exactly three years after he was hired in Fortuna, which is accepting city manager applications until Sept. 22. With his new job, Candelario, who hails from the East Bay, will take the helm of a larger city — 55,000 residents compared to Fortuna’s 12,000 — and receive a corresponding paycheck bump to $191,000, according to the city of Novato. His first day there is Oct. 24. When he was hired by the “Friendly City” in 2012, his starting base salary was $107,000. “I am honored to be continuing my local government career in Novato and very much look forward to working with the people of Novato and leading the already successful city organization,” Candelario said in a city of Novato release. The City of Fortuna is seeking an experienced, progressive, energetic municipal administrator to be the new City Manager. Known as “The Friendly City”, Fortuna is a small, rural community of just over 12,000. 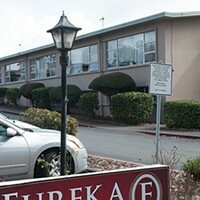 We are located in Humboldt County, 20 miles south of Eureka and 250 miles north of San Francisco. Eight miles inland from the Pacific Ocean and adjacent to the scenic Eel River; Fortuna is in the heart of the Redwoods offering quality rural living with outstanding outdoor recreation activity and Community Events year round. Incorporated as a City in 1906, it is governed by a five-member City Council that is elected at-large in November of even numbered years. The City operates under a Council/Manager form of government with the City Manager and the City Attorney appointed by the City Council. 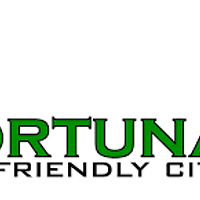 City of Fortuna’s City Council and Management team are dedicated to making Fortuna the best it can be. Most are natives of this scenic City and all of them have the common goal of seeing this beautiful Eel River Valley Community thrive. 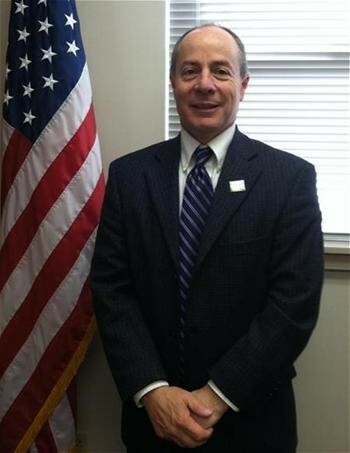 The City Manager is responsible for the efficient and effective implementation of Council goals and policies; maintains effective relations with and is responsive to the City Council; serves as the chief Administrative Officer of the City, provides leadership and direction to the organization; serves as liaison between the City staff and the City Council; and manages the day-to-day operations of the City. Candidates who promote collaborative work effort and value teamwork and empowering staff members are ideally suited to this position. The City of Fortuna is interested in a City Manager who will seek creative approaches to challenges encountered by the city, especially in the area of budgeting. Candidates with a strong background in municipal finance and economic development are highly desirable. The ideal candidate will manage the City’s finances in a prudent manner and have the ability to identify potential issues and problems as they are developing and recommend alternatives and solutions to the City Council. Candidates must have a bachelor’s degree in public or Business Administration or a closely related field. A Master’s degree is desirable, as is possession of or the ability to attain an ICMA Credentialed Manager designation. Experience as a City Manager, Assistant or Deputy City Manager or Department Head in a community where economic development, customer service, high ethical standards and open communications exist and are valued is strongly desired. An equivalent combination of education and experience which provides the required knowledge skills and abilities to perform the job will be considered. Residency within the City of Fortuna is desired. For complete job description and job application, contact the City of Fortuna, 621 11th Street, Fortuna, CA 95540, (707) 725-7600, or www.friendlyfortuna.com. Application packets, including a cover letter, required application form, and resume, must be received by 4:00 pm, Friday, September 2, 2016. The City Council is pleased announce the hiring of Regan Candelario as Novato’s new City Manager. Mr. Candelario will start his employment as the City’s 7th City Manager on October 24. Mr. Candelario has served as the City Manager for the city of Fortuna in Northern California since 2012. Prior to Fortuna, he was the City Administrator for the City of Guadalupe (2010 - 2012), located in Santa Barbara county. Mr. Candelario’s experience also includes 3 years as a project consultant for redevelopment agencies and 17 years with the City of Santa Ana, where he was promoted to Community Development District Manager of District One with responsibility for the coordination of multiagency services to Santa Ana’s residents, businesses and community based organizations. Mr. Candelario grew up in the San Francisco East Bay area where he attended Moreau High School. He and his wife of 26 years, Shelley, have three children. “We are extremely pleased to have Regan join us” stated Mayor Pat Eklund. 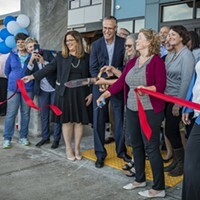 “He distinguished himself during a rigorous screening and interview process and will bring excellent skills and experience to the City of Novato. We are excited about working with him and the community in achieving our goals.” Mayor Eklund added “We would like to sincerely thank Assistant City Manager Cathy Capriola for serving as Interim City Manager. We were and are truly fortunate to have someone of her caliber serve our community.” The City Council appointed Ms. Capriola as Interim City Manager beginning in January 2016 after the departure of former City Manager Michael Frank. The City Council retained the services of Bob Murray & Associates (BMA), which specializes in public sector executive recruitments, to help coordinate the process of finding a new City Manager. With BMA’s assistance, the Council narrowed a field of 30 applicants to five, who were invited to participate in interviews with three assessment panels. Two of the panels were comprised of community members appointed by the City Council, while the third panel included City employees. One of the community panels included a local city manager, who provided perspective on the candidates as someone in the profession. The City Council as a whole also interviewed the five candidates. After the first round of interviews, the Council invited two of the candidates, including Mr. Candelario, back for a final interview. Mr. Candelario holds a Master’s degree in Public Administration from CSU, Long Beach. He has also obtained the Credentialed Manager designation from the International City Manager Association (ICMA) and has served on several policy and advocacy committees with the League of California Cities. Mr. Candelario indicated “I am excited about this opportunity. Novato is a wonderful City with great people. I am honored to be continuing my local government career in Novato and very much look forward to working with the people of Novato and leading the already successful City organization”.